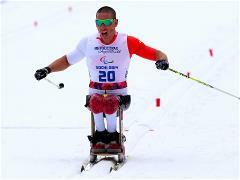 Cross-country competitions in the sitting category have concluded in the women’s 5km and men’s 10km races. Medals in the women’s 5km cross-country skiing have been awarded in standing and visually impaired. On the courses at Laura, competition has concluded in the men’s 10km free visually impaired skiing.